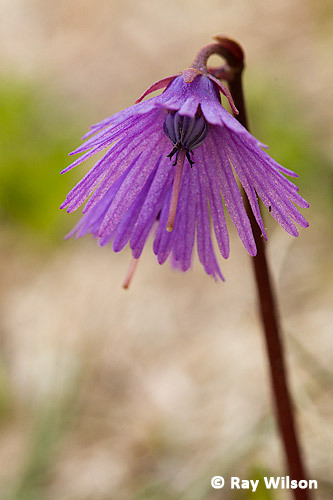 Since there are too many photos to put them all on one page I've split the botanical section of this trip report into 3 parts. 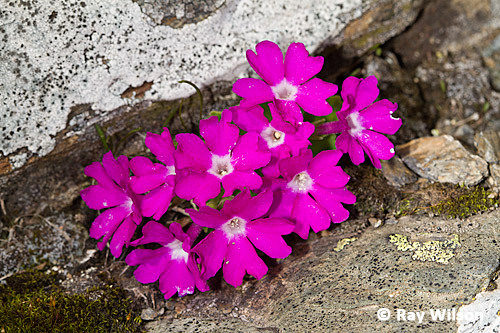 The first two are rather arbitrary in their separation since several of the flowers illustrated are grow over quite a wide range of altitudes both above and below the tree-line, but for the purposes of this report I've split them according to the altitudinal zone they were growing when I photographed them, except for the orchids which have part 3 all to themselves. 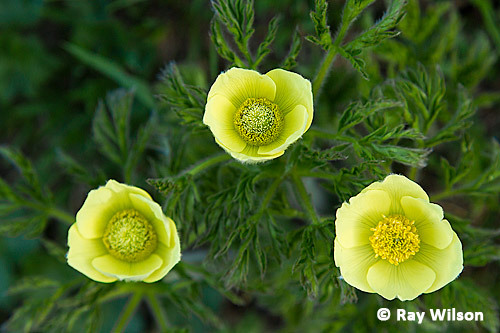 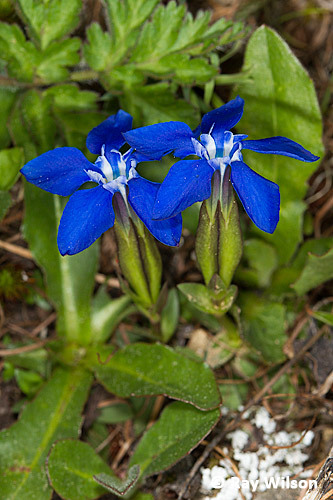 All of the below flowers featured on this page were photographed on alpine meadows and rocky slopes above the tree-line at altitudes ranging from 1800m to 3200m. 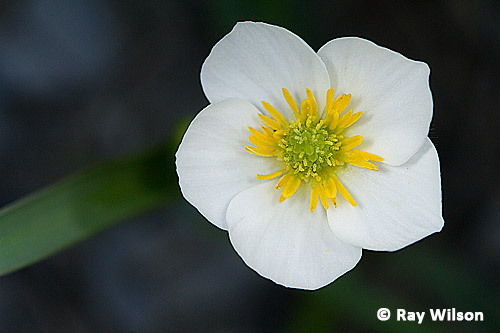 Both Spring and Alpine Pasque Flowers produce blooms as the winter snows start to melt and are often found at the edge of the snowline and even sometimes poking through the snow. 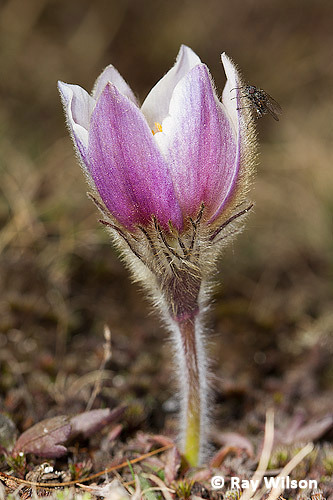 As the spring progresses, they quickly turn to seed at lower altitudes but flowering plants can still be found in June and July on the higher slopes as the receding snowline continues to release more meadows from winter's grasp. 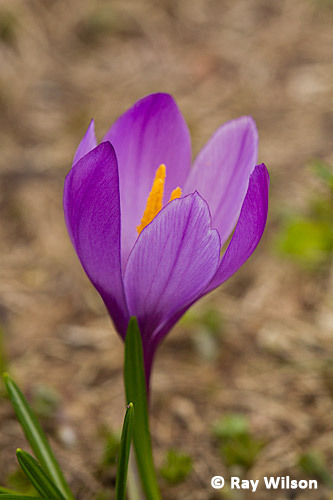 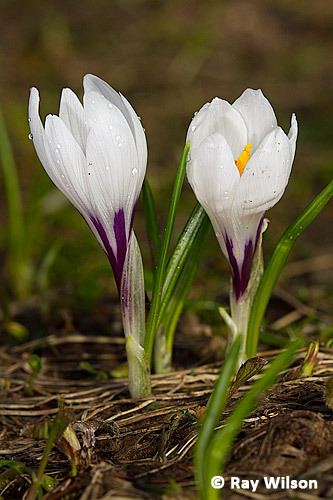 White Crocus is often present in both white and purple colour forms and can be found in wet meadows, often alongside Alpine Snowbells at the edge of melting snow. 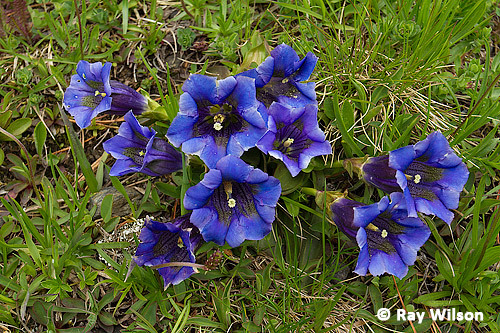 The large, vibrant blue, bell-like flowers of Trumpet Gentian are one of the most spectacular flowers on the high meadows and carpets of these beautiful, low-growing flowers can be found in many areas. 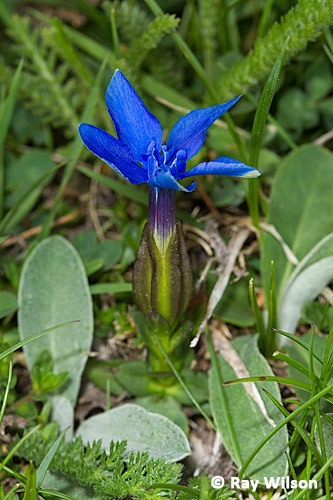 Their much smaller relative, the Small-leaved Gentian provides another source of vibrant blue colour to the meadows. 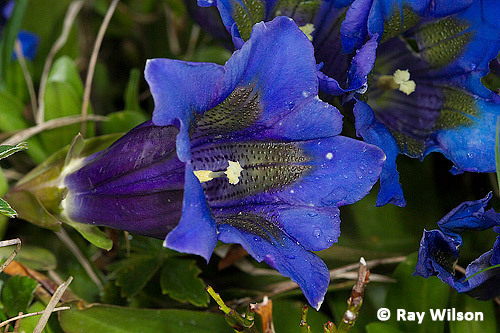 Care needs to be taken with the identification of the gentians as there are several very similar species, and it is good practice to make sure you take a few extra photos which show the details of the basal leaves and the bracts so that the identification of each subject can be confirmed by the use of dichotomous keys. 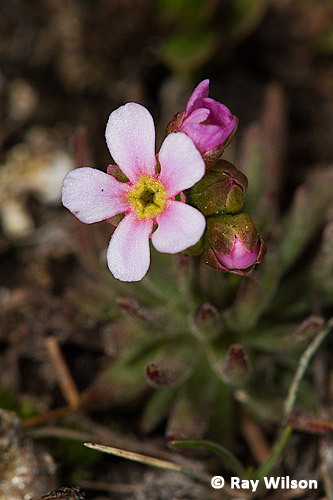 Androsace adfinis puberula, an alpine member of the primrose family, is sometimes given the full species status of Androsace adfinis, such as in the 2012 edition of Flora Helvetica. 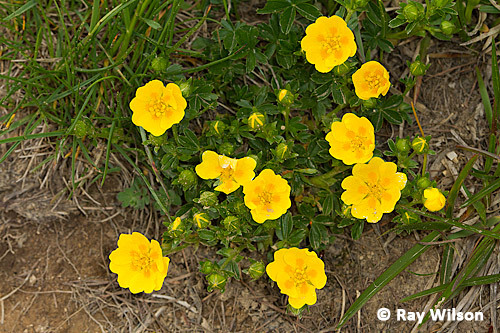 It grows on acidic soils in the alpine and sub-alpine vegetation belts. 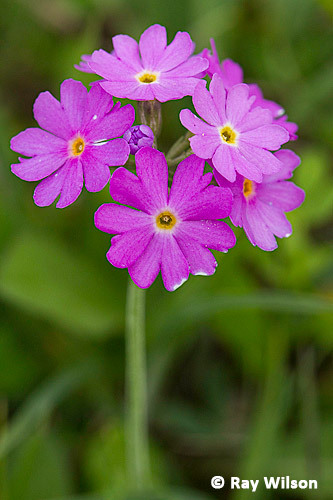 The most common primula on the high meadows (up to 3000m), however, is the Bird's-eye Primrose, where it prefers damp, marshy places and can often be found growing alongside Pyrenean Buttercups. 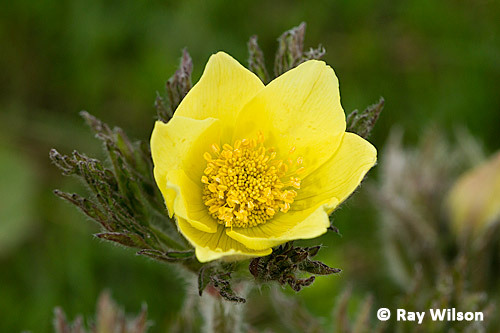 In drier meadows, Alpine Avens is a commonly occurring member of the Rose family. 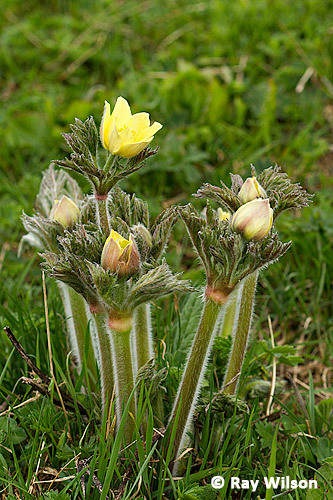 In rockier places, you may occassionally come across a patch of Hairy Primroses. 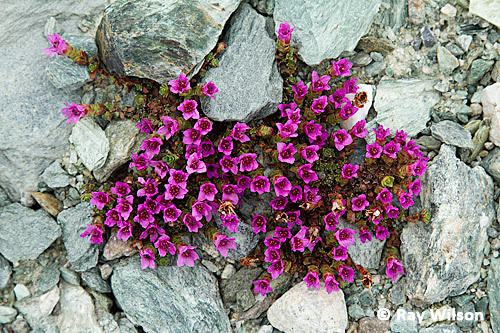 Large mats of Purple Saxifrage can sometimes provide the only only splash of colour on the high peaks and it grows on scree slopes and rock crevises up to an altitude of 3800m. 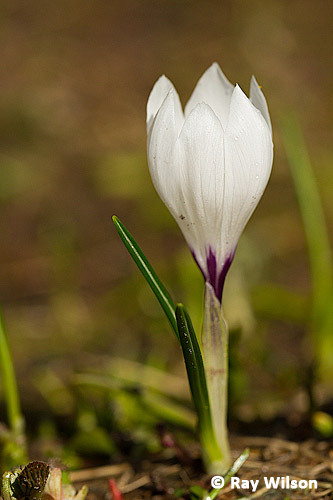 Thankfully, I didn't have to climb quite so high to get the photo below as it was taken at "only" 3200m above sea-level.